Theory of valuations on convex sets is a classical part of convex geometry which goes back at least to the positive solution of the third Hilbert problem by M. Dehn in 1900. Since then the theory has undergone a multifaceted development. The author discusses some of Hadwiger's results on valuations on convex compact sets that are continuous in the Hausdorff metric. The book also discusses the Klain-Schneider theorem as well as the proof of McMullen's conjecture, which led subsequently to many further applications and advances in the theory. The last section gives an overview of more recent developments in the theory of translation-invariant continuous valuations, some of which turn out to be useful in integral geometry. 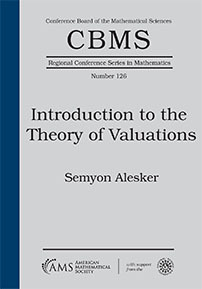 This book grew out of lectures that were given in August 2015 at Kent State University in the framework of the NSF CBMS conference “Introduction to the Theory of Valuations on Convex Sets”. Only a basic background in general convexity is assumed. Graduate students and researchers interested in the theory of valuations on convex sets. For the newcomer to the field, the book gives a first orientation, insights into the underlying structures, and valuable hints to the original literature. This little book gives a very nice overview of a subject nearly at the cutting edge of research.